My interview on CBC’s The House had such a positive reception that I wanted to follow up with a short essay summarizing most physicians’ recommendations for legalizing marijuana. My own perspective is that of a psychiatrist whose patients are all adolescents and young adults. This means I am concerned about the short-term impact of marijuana intoxication in the young people that I see, but I am even more worried about the long-term impact of cannabis on the developing brain as well as the links between cannabis use and psychotic illnesses. Most physicians hope that the federal government will approach the legalization of marijuana emphasizing public health concerns as the most important consideration in the drafting of legislation. There are also law enforcement and government revenue aspects of the legislation but in jurisdictions where these considerations were emphasized, health outcomes were affected. Doctors in Canada – and Canadians in general – will find that negative health outcomes will eliminate any possible benefits to legalizing and regulating marijuana. 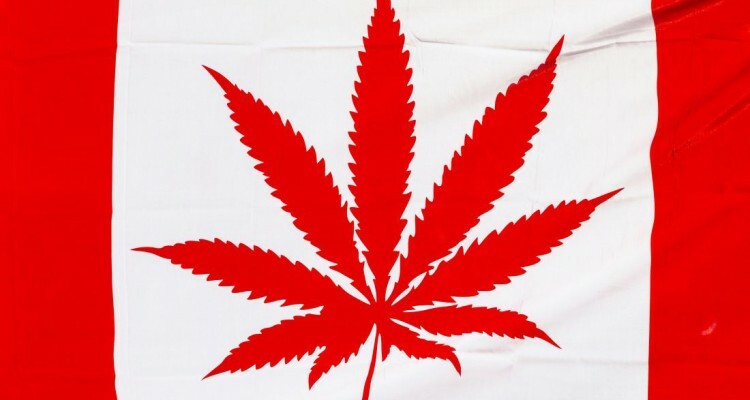 The government’s vision is to have marijuana legally available for non-medicinal purposes by Canada Day 2018. For the implementation to fully consider the public health implications, the government can look to its experience with the legalization and regulation of tobacco and alcohol. There are lessons to be learned from this experience from a public health perspective and I hope Canadians can benefit from that experience. We can also learn from those countries and jurisdictions that have already legalized marijuana. Also, now is the time to set up an evaluation and research agenda to ensure that we continue to learn from our experience with legalizing marijuana. Some of the main health concerns with marijuana are related to its impact on the developing brain. The brain continues to develop until age 25 and there is significant evidence that cannabis use interferes with brain development. While it would be ideal if the minimum age to purchase marijuana could be 25, Young Canadians are already using twice as much marijuana as any other age group in Canada. Young Canadians also have a higher rate of cannabis use than youth in any other G8 country. With use being this high (20% of Canadians aged 16-24), it is more realistic to focus on reducing cannabis use to the extent that is possible. The Canadian Medical Association recommends setting a national standard where minimum legal age for purchasing marijuana would be 21, but with restricted strength and purchasing limits until age 25. As well as brain development, child psychiatrists have also noticed increased prevalence of psychotic symptoms in young people using marijuana. We notice that psychotic symptoms emerge at a younger age for those with a predisposition for these conditions who use marijuana. We also notice that cannabis use is associated with the more serious chronic symptoms of schizophrenia. Many physicians are also concerned that that rigorous research has never been applied to whether marijuana has any medicinal value. Marijuana has been available for medicinal purposes in Canada for many years, but there are few, if any, studies confirming its efficacy. Given the health risks, is it not time to insist on research to determine whether medicinal marijuana is effective? Finally, one of the most important public health impacts will be related to the consequences of driving while intoxicated. One’s capacity to safely operate a motor vehicle after using marijuana can be affected for as long as 6 hours after use. There is no currently no adequate way to identify or evaluate whether a driver is under the influence of cannabis. A method to evaluate intoxication must be developed before legalization. In this regard, the experience of Colorado should inform Canadian legislators. This excellent review outlines the increase in traffic accidents and Emergency Room visits since marijuana was legalized. Traffic accidents are one concerns but there are others. Colorado legislation was focused primarily on the revenue generating aspects of marijuana legalization. The negative health outcomes should be a cautionary tale for Canadians. I have focused on those aspects of marijuana legalization that are most important in my practice but the Canadian Medical Association prepared a detailed submission for the Government of Canada Task Force on Marijuana Legalization and Regulation. Canadian doctors and the Canadian Medical Association are extremely concerned about this legislation. Great effort has been taken to alert the federal government to the risks involved in legalizing marijuana. I mentioned earlier that I wished the legal age to purchase marijuana could be 25. I can see how unrealistic this is, given how much marijuana young Canadians use right now, when it is not legal. After the fact of negative health outcomes from legal tobacco and alcohol, Canadian governments have had to launch massive public health and education campaigns. It would be good to roll these out now, in the hope that we can avoid some of the negative health outcomes doctors know are coming. ← Does Ontario Have A Gun Problem?